We are teachers, learners and innovators. United by the fierce belief that quality education is not a privilege but a universal right, each of our team members brings unique expertise and perspective to the table, with talents that complement and compound one another. We are people who balance acute awareness of how things are with firm hope for how they could be; whose vision of a better future for children fuels our determination to change the present. 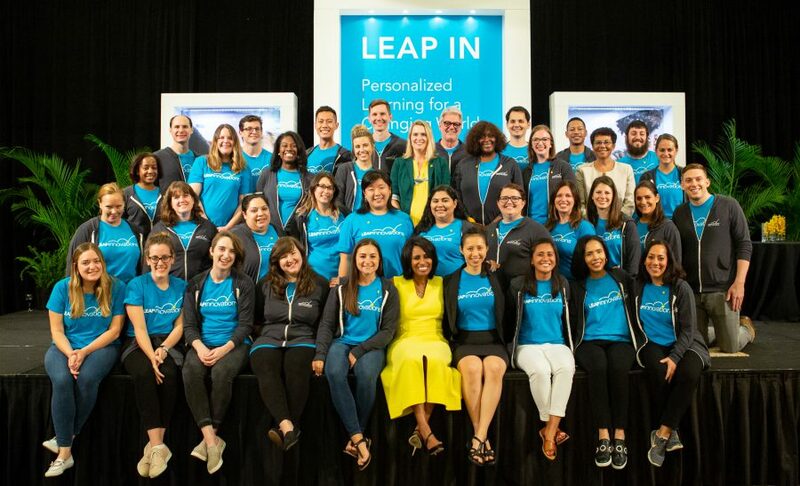 LEAP Innovations is a national organization headquartered in Chicago that connects innovation and education to transform how students learn. LEAP works directly with educators and innovators to discover, pilot and scale personalized learning technologies and innovative practices. 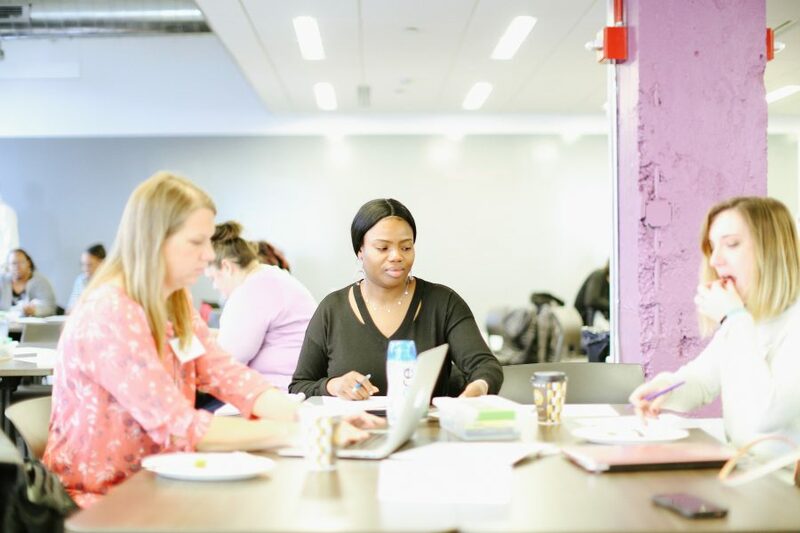 In over four years, LEAP has worked directly with more than 125 schools across Chicago to implement personalized learning, from classroom-level innovation in the Pilot Network to whole-school transformation in Breakthrough Schools. 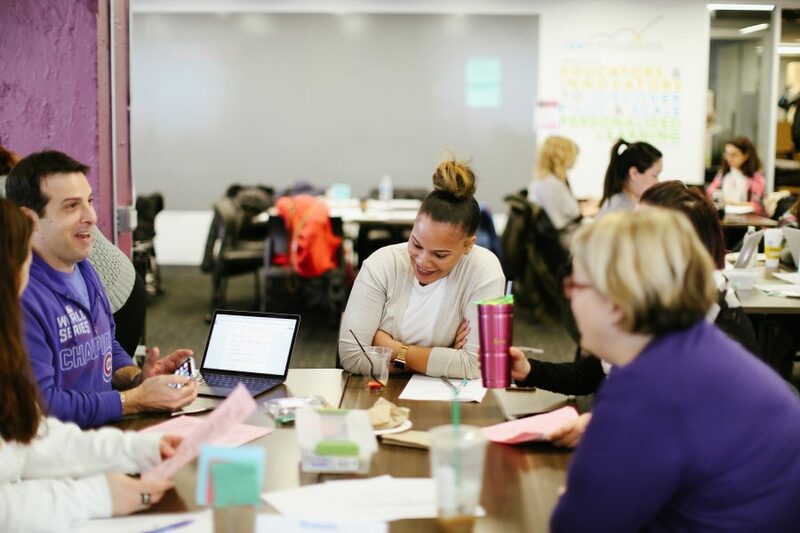 LEAP’s work is anchored by the LEAP Learning FrameworkTM, a suite of resources that educators across the country are using to define, design and implement personalized learning models. The LEAP Innovations team brings a wealth of experience and a diversity of culture, thought, and perspective to our work. Many staff members are trained educators. All share a commitment to our mission to improve education for every learner. National and local business leaders from the city of Chicago serve on our Board of Directors. The Board provides invaluable support and strategic insight to LEAP. Leaders from academic and philanthropic institutions across the country serve as part of LEAP Research Advisory Board. The Board provides expertise to our ongoing research efforts.